Whether you need flowers for the holiday season or just a stunning birthday gift, our vast selection of bouquets will have something perfect just for you! Here at Handy Flowers, we are proud to offer one of the largest selections of cheap flowers in the Greater London area and the UK. Our bouquets are fresh and can be delivered in just a day with our express flower delivery service! Flowers are a thoughtful way to show you care, and it is our passion to help you find the perfect flower arrangement for the occasion. Peruse our online flower shop to find that special gift today. Our flowers are cheap, but we do not cut corners. Our florists ensure that we deliver top quality flowers that are as fresh as possible. We offer anything from beautiful seasonal local flowers to exotic flowers that will make heads turn. All our bouquets are uniquely arranged in a glass bowl, vase, or basket that can be reused as a stunning decoration. Our local flower selections are recommended and are breathtakingly cheap and breathtakingly beautiful. We’ve designed our company around the idea that flower delivery does not have to be expensive, which is why all of our bouquets are offered at competitive prices. Send flowers in Greater London now! Cheap flowers don’t have to look drab. Our dedicated florists in Greater London work hard to create beautifully arranged fresh bouquets at an affordable price. Each florist is dedicated to their job of providing you with perfect top quality bouquets. Our flowers are not just arranged, they are placed perfectly. Each bouquet is carefully assembled by a florist to ensure that what you see in the picture is exactly what comes in the delivery. Some even come with chocolates or other goodies! On our online flower shop, you can find our team’s top tips for flower maintenance to guarantee that your flowers stay gorgeous. With our cheap and fast delivery options, you will get your flowers delivered to the requested location in Greater London exactly when you want. We offer next day flower delivery to most parts of the Greater London. Our website makes sending flowers by post a simplified, easy, and inexpensive process. Same day flower delivery is also an option at a low price, however it requires you to order from our company as early as possible. We send flowers as buds in order to ensure that the flowers delivered are as fresh as possible. Enter your postcode to see what delivery options are available to your area! Flower delivery was never easier! Our team in Greater London do all the work for you. All you have to do is select one of our bouquets or floral arrangements and enter the delivery address. Once you do that, select the perfect delivery option from our wide range of options. No matter what the event is, we have something perfect for the occasion. After paying, you’re done! All you have to do is wait for our hassle-free flower delivery to arrive. Our flowers come fresh and are guaranteed to last for at least 5 days. Order now to send a bouquet as early as tomorrow! Place your order with Handy Flowers and reap the rewards of working with the best! Greater London is one of the regions of England and a county which forms the administrative boundaries of the capital. 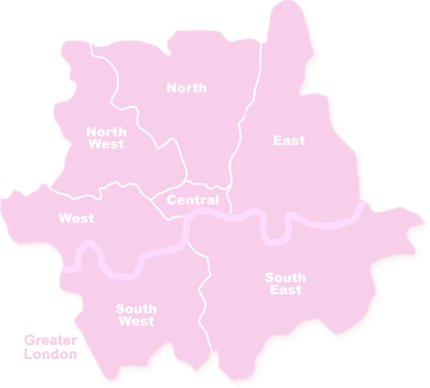 It is consists of 33 government districts: the City of London and the 32 London boroughs. The region covers 607 sq miles and has a population of around 8,174,000. Greater London is home to some of the best universities in the country. The top five universities are: the University of Westminster, London Metropolitan University, Middlesex University, City University London and the University of Greenwich. Large colleges include in the area include Kingston College, Croydon College and Havering College of Further and Higher Education.